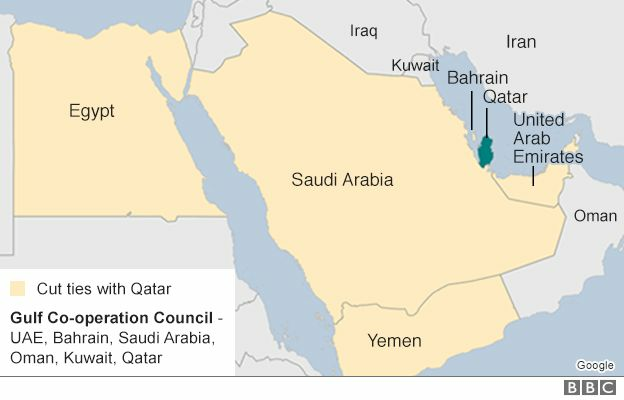 Qatar's foreign minister has condemned its Gulf neighbours for refusing to negotiate over their demands for restoring air, sea and land links. Sheikh Mohammed Al Thani said the stance was "contrary to the principles" of international relations. Saudi Arabia, the United Arab Emirates, Bahrain and Egypt accuse Qatar of aiding terrorism - a charge it denies. It has been presented with a list of demands that the Saudi foreign minister on Tuesday called "non-negotiable". The restrictions have caused turmoil in Qatar, an oil- and gas-rich nation that is dependent on imports to meet the basic needs of its population of 2.7 million. On Friday, the four Arab states handed Qatar a 13-point list of demands to end the crisis that included shutting down the Al Jazeera news network, closing a Turkish military base, cutting ties with the Muslim Brotherhood, and reducing ties with Iran. US Secretary of State Rex Tillerson, who has sought to resolve the crisis, acknowledged that some elements would "be very difficult for Qatar to meet", but that there were "significant areas which provide a basis for ongoing dialogue". 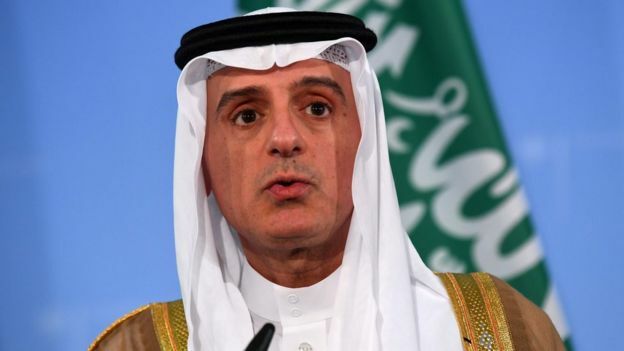 But after holding talks with Mr Tillerson in Washington on Tuesday, Saudi Foreign Minister Adel al-Jubeir was asked by journalists if the demands were non-negotiable. He replied: "Yes." "It's very simple. We made our point. We took our steps and it's up to the Qataris to amend their behaviour. Once they do, things will be worked out. But if they don't, they will remain isolated," he said. "If Qatar wants to come back into the [Gulf Co-operation Council] pool, they know what they have to do." Mr Jubeir stressed that the decision to sever ties with Qatar was made after taking into account the history of its behaviour, which he alleged included harbouring known terrorists and funding extremist groups throughout the region. Qatar's foreign minister, who met Mr Tillerson at the state department later on Tuesday, called the Saudi position "unacceptable". "This is contrary to the principles that govern international relations because you can't just present lists of demands and refuse to negotiate," Sheikh Mohammed was quoted as saying in a ministry statement. Sheikh Mohammed said the US agreed the demands had to be "reasonable and actionable", and that the allegations against Qatar also needed to be discussed. "We agree that the State of Qatar will engage in a constructive dialogue with the parties concerned if they want to reach a solution and overcome this crisis." 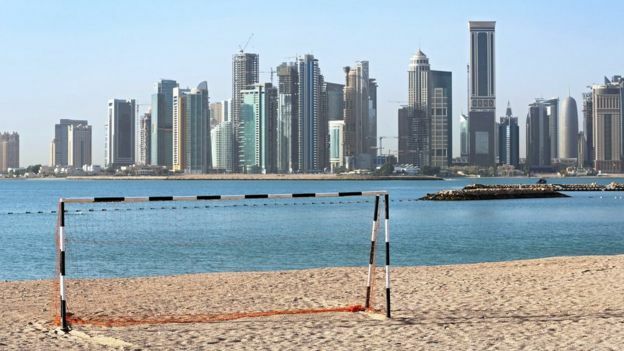 The UAE ambassador to Russia meanwhile told the Guardian newspaper that the Gulf Arab states were considering fresh economic sanctions on Qatar. "One possibility would be to impose conditions on our own trading partners and say you want to work with us then you have got to make a commercial choice," Omar Ghobash said. "If Qatar was not willing to accept the demands, it is a case of 'Goodbye Qatar' we do not need you in our tent anymore."